Steven Urken, MD, has served as Chief of Ophthalmology at the Atlanta Veterans Affairs Hospital since 2010. He joined the Emory faculty in 2000 following several years in private practice. He is a diplomat of the American Board of Ophthalmology and specializes in cataract surgery and the surgical and medical management of glaucoma. Dr. Urken has a special interest in teaching Emory University ophthalmology residents especially in the area of cataract surgery. 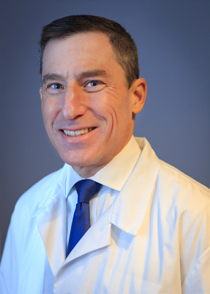 Dr. Urken is an active member of the American Academy of Ophthalmology and the Association of Veteran Affairs Ophthalmologists. He serves as a Board Examiner for the American Board of Ophthalmology and as an invited instructor at national cataract surgery courses for residents.